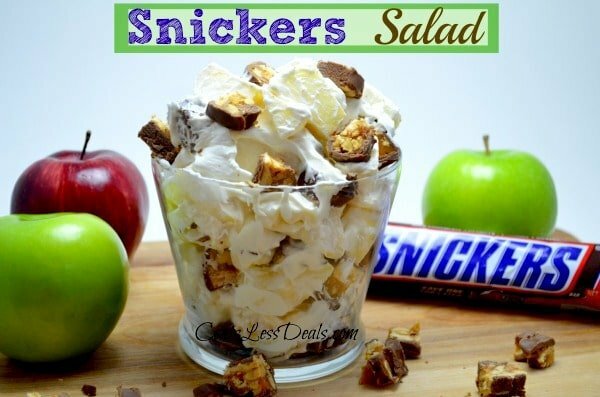 This Snickers Salad recipe is one of my most favorite recipes ever!!! 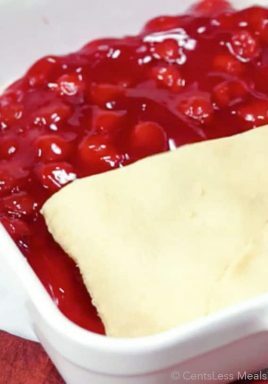 This is so delicious, and so EASY to make! It’s a perfect dish to bring to a potluck or picnic. Kids of all ages love this too 😉 The only problem with this is trying not to eat the whole bowl yourself!! 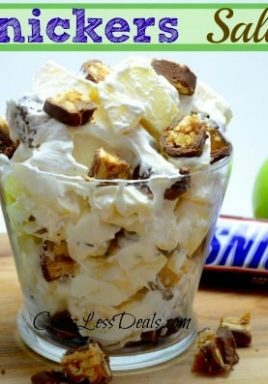 This Snickers Salad recipe is one of my most favorite recipes ever!!! In a large bowl, whisk milk and pudding mix for 2 minutes. Let pudding stand for about 2 minutes or until partially set. Stir in apples and candy bar chunks. Refrigerate about an hour before eating. @Pat Cody…it does in fact say chopped at the very top where the ingredients are listed…and this is delicious. Thanks for the recipe. This sound great. Can’t wait to try it. Pat Coty-maybe you would get a clear understanding of the recipe if you would read it correctly. Specifically states chopped snickers. I assume that the Snickers are cut up into small chunks but the recipe does not say that. Seems like a published recipe should be more thorough. 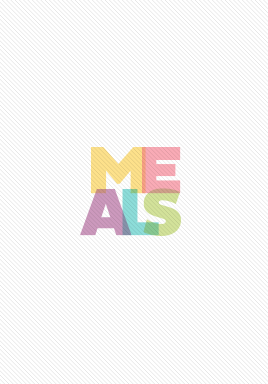 Sounds delicious though. Betty, make your own whipped topping with heavy cream,vanilla and sugar! Does anyone know a good (healthy) substitute for Cool Whip? I won’t use any recipe with Cool Whip. Read the ingredients. It’s all chemicals! 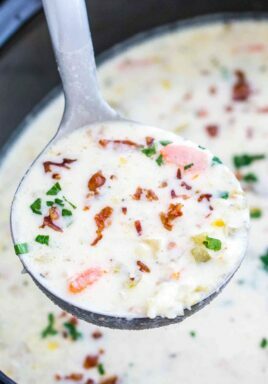 I will have to bookmark this recipe so I can make it when grandkids are all here together. I am excited to make the “Snickers Salad” for our next church dinner. Could you give me an idea what size dish to put this in?